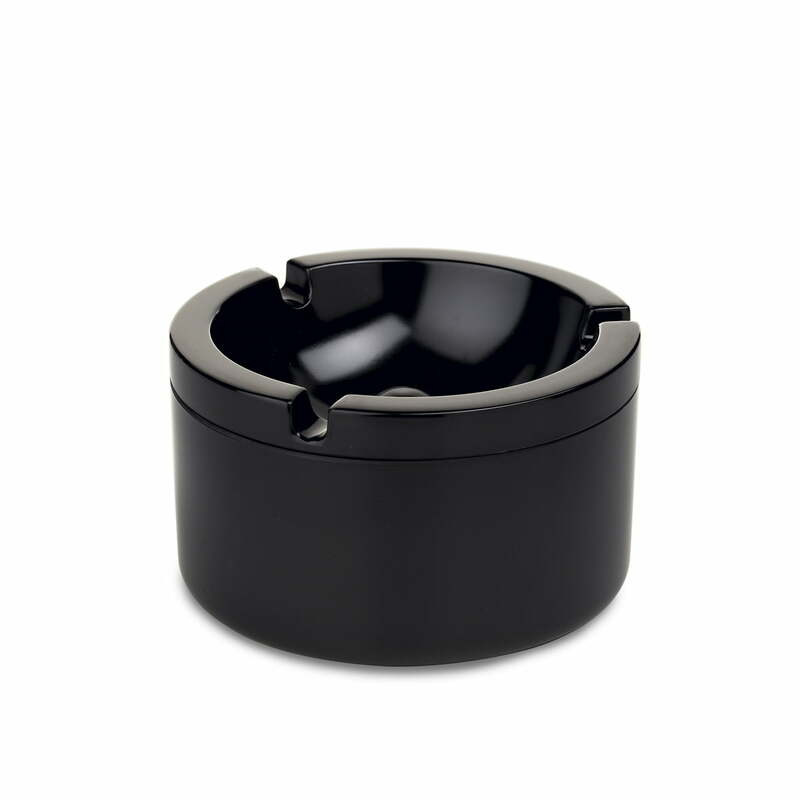 The Ashtray with lid by Rosti Mepal is the ideal ashtray for inside and outside. With its 10 centimetre diameter, it is easy to use, but otherwise it’s anything but average. The Ashtray’s lid makes it windproof and embers smoulder out by themselves as the oxygen supply is cut off. It also helps to reduce nasty smells to an absolute minimum. Thanks to its melamine construction, the Ashtray by Rosti Mepal is extremely scratchproof, shock-resistant and easy to clean, even in the dishwasher. Additionally, the melamine resists temperatures up to 180 degrees Celsius. 86 of 194 customers have found this review helpful. Very Brittle. Will break if dropped on hard floor.